Doesn’t it feel like major appliance problems emerge before a big family gathering or right before you have a major event? Not only can a malfunctioning freezer or washer cause you extreme stress, but in most businesses, it can also cost you money. At Mr. Appliance of Alpharetta, our expert technicians are skilled at diagnosing, repairing, and maintaining commercial and residential appliances. No project is too big or too small for us. Furthermore, because we know what a big pain broken units can be, we work quickly and efficiently to provide you with cost-effective, lasting solutions. For over 20 years, Mr. Appliance has been the trusted name in appliance repair and quality service. Our expert technicians in Alpharetta have the knowledge and experience to get the job done correctly the first time. We understand your time is valuable, which is why we work efficiently. At Mr. Appliance of Alpharetta, we treat customers like family. We place relationships above making a profit. We place your interests and needs first. We’re not happy unless you are. Lets face it, no one enjoys a trip from their local appliance repairman. But with our Alpharetta appliance repair services, you can expect friendly, fast technicians on the job from start to finish. 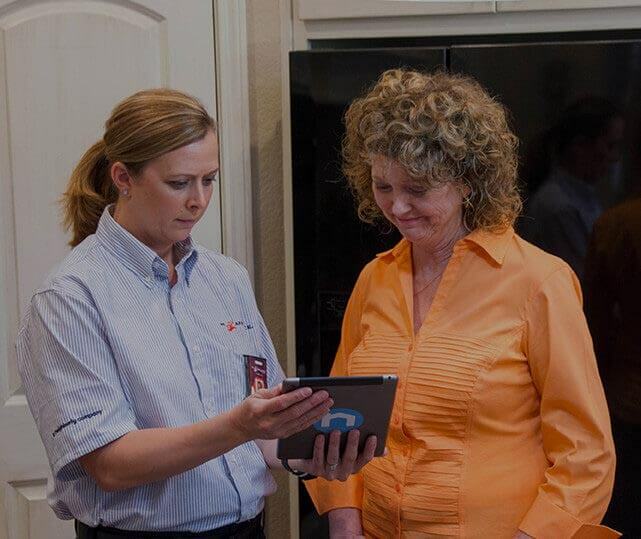 Call (678) 721-8555 to speak with our appliance repair technicians in Alpharetta. We’re ready to help!